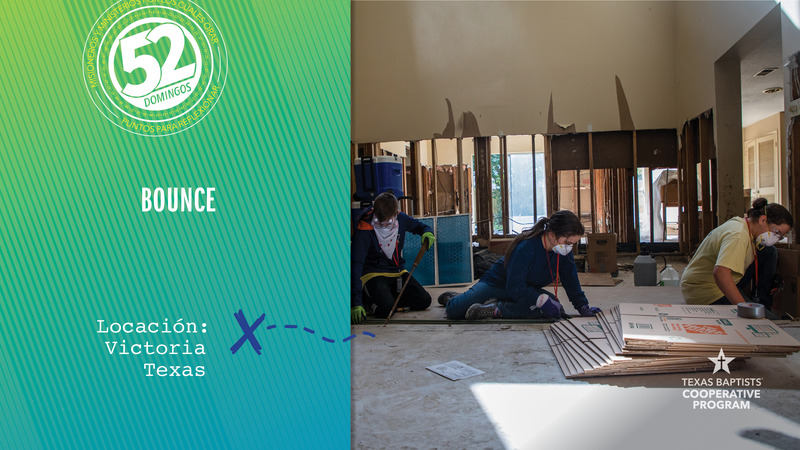 BOUNCE Student Disaster Recovery gives students from middle school through college the opportunity to help people who have suffered property damage after a disaster. BOUNCE staffers use their construction and management experience to guide young people in assisting with recovery efforts. Last year, 1,546 students participated in BOUNCE devoting a portion of their spring or summer break to help others in need. In 2018, BOUNCE work focused on recovery from Hurricane Harvey. Many projects in 2019 will target those same areas still rebuilding after the massive storm. One man who was served by BOUNCE was Mr. Nemo in Victoria. “He had a huge tree fall on his house and ruin his roof. It also resulted in a lot of damage to the interior of his home because of the water that came in,” shared David Scott, director of BOUNCE. Mr. Nemo’s house was uninsured, and he didn’t have the means to do repairs. Our church’s gifts through the Cooperative Program help fund the ministry of BOUNCE. Please pray for the students who respond and for those who lead them.